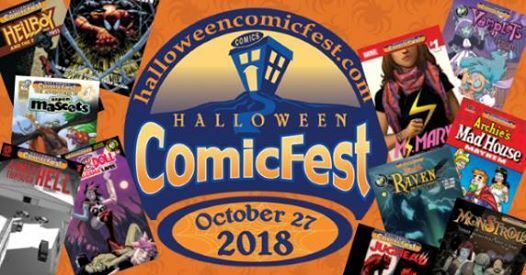 Each year, Halloween ComicFest is celebrated at your local comic shop the Saturday before Halloween (or even Halloween itself, such as this year). On this day, you can walk into any participating comic shop (such as Subspace Comics!) and get a FREE Halloween ComicFest comic! All participating shops will be giving away special comics for this event; you cannot simply take any comic book from the rack. Each year, the comics offered change. Check the official Halloween ComicFest website for a list of this year’s comics. Join us on Saturday, October 27th 2018 for free comics! Everyone who attends Halloween ComicFest at Subspace Comics can take up to 5 (five) free comic books from the HCF special comics!